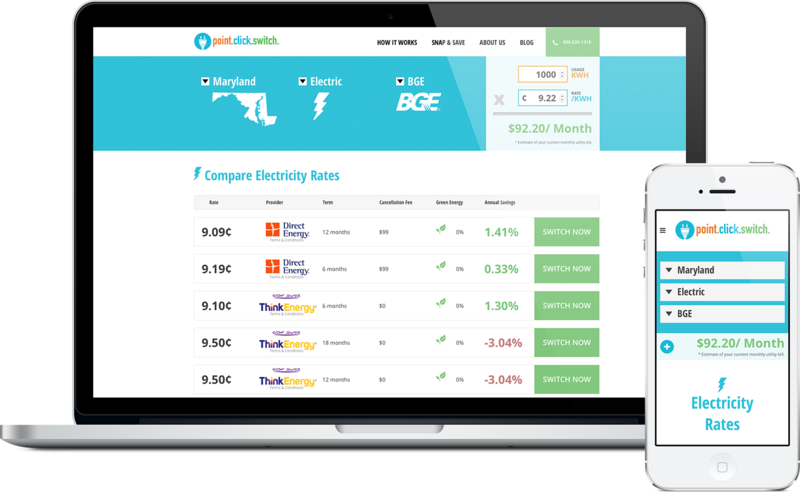 We make it easy for you to compare energy rates. We collect competitive rates from numerous energy providers, organize, and present these rates to you. Once you’ve compared rates for your area, choose the energy supplier that works best for you. 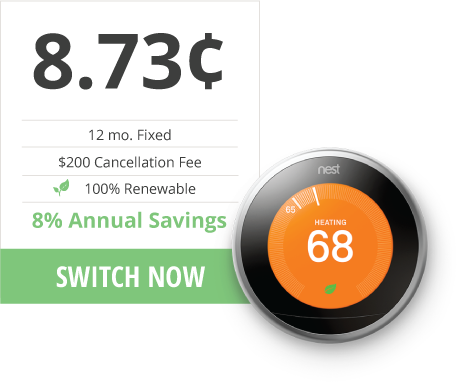 Point Click Switch makes it easy to compare energy rates. Connecticut, Massachusetts, New Hampshire, Illinois, Ohio, Pennsylvania, Washington D.C. and Maryland residents trust our service to take the hassle out of selecting the right energy provider for their home and business needs. We are passionate about making that process as effortless as possible. Without wasting time or money, users are able to find the offer that best fits their needs. In fact, now you can simply snap a photo of your most recent energy bill, send it to us, and we’ll compare prices for you with your specific needs in mind. We do all the research and contact your provider to change your energy plan. Could it be any easier? We don’t think so. If you’re interested in comparing energy providers, Connecticut, Maryland, Washington D.C., Illinois, Ohio, Pennsylvania, Massachusetts, and New Hampshire residents can take advantage of our free service. We’ve taken the time to build great relationships with energy suppliers in each area we serve, and we now have relationships with more suppliers than any of our competitors. We know how important it is to save money anywhere you can these days, and we pride ourselves on presenting you with all the information you need to make the best decision when it comes to choosing your energy provider. Compare energy rates with us today, and see just how much you could be saving.